​Circle time is a very important place in our classrooms. It is where students begin and end their school day. Circle time is a place where students learn about our weekly theme, enhance their music interests with singing, instruments and dance, read stories to increase their love for reading, learn and practice the monthly, weekly and daily calendar, practice our letters, numbers, colors and shapes, rhyming words, compound words and develop our verbal, social and listening skills. The end of the school day is spent back at circle time where we spend time reflecting, reviewing and practicing what we learned that day in class. Get Set For school (Handwriting Without Tears) is a nationally recognized curriculum that uses movement, explicit instruction, and playful learning opportunities to explore and internalize ideas. Get Set for School is a hands-on curriculum that takes a multi sensory approach and targets all different learning styles. Get Set For School is developmentally based and child-friendly. All of the materials and lessons are designed to increase curiosity and a love for learning in the classroom while helping students get prepared for the next step in their education. There are three core learning areas that make up the Get Set For School curriculum. The three areas are Readiness and Writing, Language and Literacy, and Numbers and Math. Below is a brief description of each learning area. Readiness and Writing is the core of Get Set For School. Readiness and Writing is based on more than 25 years of success with Handwriting Without Tears. Readiness and writing uses music, movement and multi-sensory manipulatives to teach all the core readiness skills including: proper crayon/pencil grip for drawing, coloring and writing, letter and number recognition, proper number and letter formation and body awareness. Language and Literacy uses dramatic play, singing, finger plays, manipulatives, and movement to teach children to rhyme, clap syllables, make and break compound words, and identify sounds. Children are exposed to rich literature to build a love for reading, learn how books work, build their vocabulary and discover new genres while expanding their interests. Students will learn how to use words in conversation and develop their oral language skills through storytelling, retelling, and narrating stories. Language and Literacy has six domains that help students to develop early literacy skills through play and instruction. The six domains are (1) Phonological Awareness, (2) Alphabet Knowledge, (3) Concepts About Print, (4) Comprehension, (5) Oral Language, and (6) Writing. The Numbers and Math program provides activities that help children acquire critical early math skills. Students will use manipulatives, music and rhymes, to learn counting, spatial awareness, problem solving, and geometry skills. The Numbers and Math portion of Get Set for School gives students the opportunity to play with real objects, test their ideas, making math meaningful and real while building their curiosity. The program is broken up in to 5 domains: (1) Numbers and Operations, (2) Geometry, (3) Patterns and Algebra, (4) Measurement and Time, and (5) Data Representation and Probability. Centers are a crucial part of a student’s learning experience in preschool. 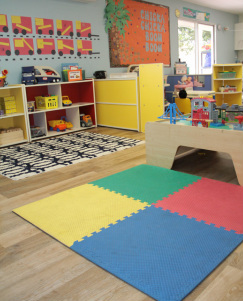 Students at the preschool level grow and learn through interactive experiences with their peers and adults and with real materials that use all of their senses. 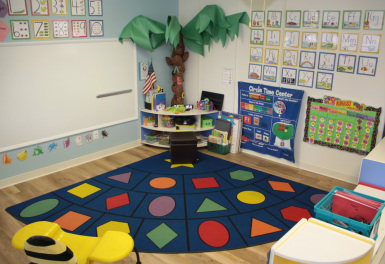 Centers give students the opportunity to explore, investigate, play, socialize, build and explore their curiosity while developing social skills, problem solving skills, fine motor skills, creative expression, role play and verbal skills. ​Recess is a time for students to build social skills, develop gross motor skills, create art, play, explore and express themselves as individuals. 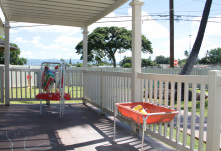 IPPS’s outside area includes bikes, a bike track, scooters, play houses, balls, bowling equipment, sensory tables, chalk, bubbles, legos, art easel for outside projects, plenty of space to run and much more.